Our second floor balcony has an awesome view of Officers Square and on hot summer days it provides welcome shade as well as protection from the occasional rain shower. 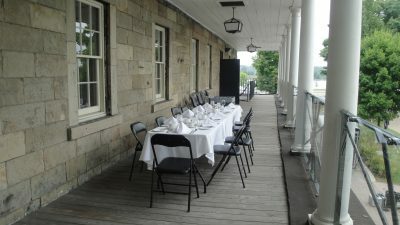 From exhibit openings and book launches to summer teas and special events with an historical theme, our balcony is also available for rent. Please contact the Museum office for further information.